This week, please welcome Perry! My name is Perry. I'm eight years old but I am about to be nine. I like vanilla best. 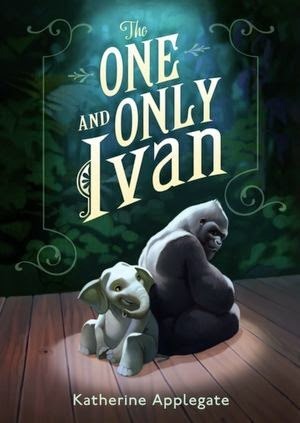 I read The One and Only Ivan because my mom gave it to me and said it was really good. I liked when Ivan's friends helped him feel better. I also liked it when he started drawing because I really like to draw, too. I would be really mad like Ivan. I would break the cage and run away. I wrote a book review for my teacher and my class, and I told them that Ivan is fun to read because the chapters are short but he says a lot. I liked that Ivan was with his friend. But he also looked sad. I want to read another book with Ivan's friends. I want to know what happens with all of them after the story. It made me think of Sadako and the Thousand Paper Cranes, because that story was sad, too. But it was different because it was set in Japan. Why did you choose to make Ivan a gorilla? Ivan's story is based on a real gorilla named Ivan who really did live in a shopping mall for 27 years. The real Ivan ended up moving to a better environment at Zoo Atlanta. You can read more about the story in Katherine Applegate's picture book, Ivan: The Remarkable True Story of the Shopping Mall Gorilla. 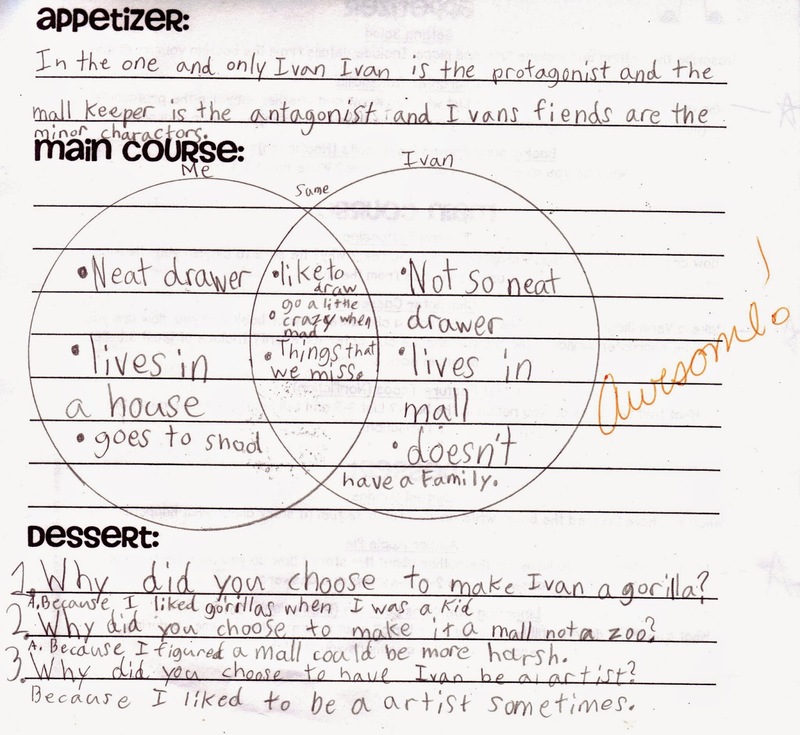 As a bonus, Perry also wanted to share this exercise he completed in his third grade class about Ivan! It was amazing and sad and I even cried when I was reading actually sobbed. I think this is an amazing story and she be an ongoing story forever. Amazing work Katherine Applegate.